Here Margaret is depicted with a book to symbolize her promotion of the arts, education and religious reform in her adopted country of Scotland. 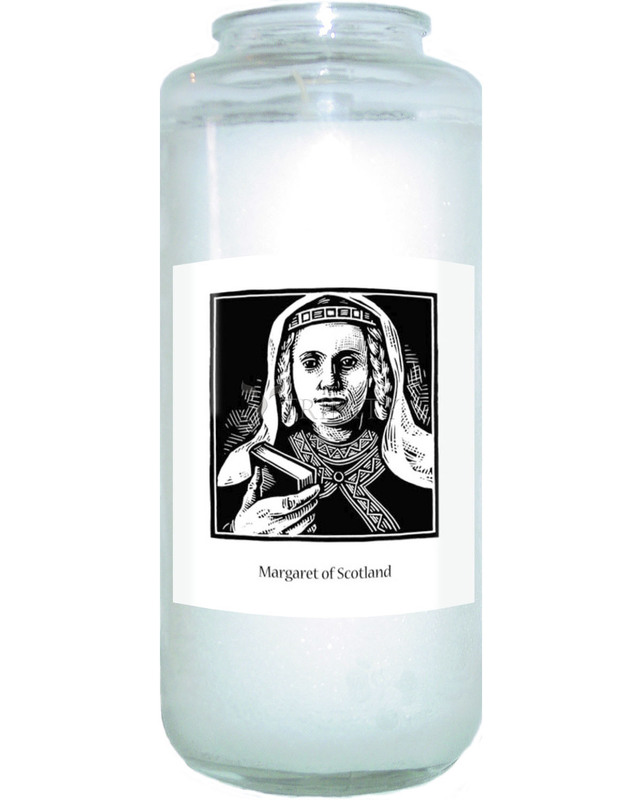 The daughter of a Hungarian princess and English prince, Margaret’s family fled its home in England from William the Conqueror and was shipwrecked off the coast of Scotland. King Malcolm, who befriended them, fell for the lovely Margaret. Malcolm and Margaret were married in 1070.